I don’t recommend many fitness products or services but some of them can help accelerate your progress while making your life easier. I personally use every one of these products and believe they are of first-rate quality. Convict Conditioning is the progressive calisthenics bible. It will teach you how to go beyond the basic bodyweight exercises you learned in gym class while building elite-level strength. 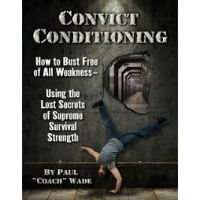 Author, Paul “Coach” Wade, does a masterful job laying out his “Big Six” exercises in 10 steps to help you grow stronger than ever before. His proven methods will give you a solid understanding of how to do push-ups, pull-ups, squats, leg raises, bridges and handstand push-ups in a safe and progressive system. If you want a solid calisthenics training routine, then Get Strong is for you. Authors Al and Danny Kavadlo have done a great job outlining a simple, yet effective, bodyweight program that’s easy to understand and implement. Get Strong leads you day-by-day through a 16-week calisthenics program that’s sure to make a difference in how you look, feel and perform. As Yogi Berra once said, “90% of the game is half mental” and few people understand this better than author Christopher Logan. 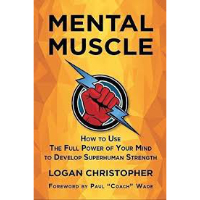 In his book, Mental Muscle, Christopher explains why mental power is responsible for the physical results you seek and how to optimize your mental power for maximum results. This is the ultimate companion to Convict Conditioning for those who want to use calisthenics to pack on muscle. 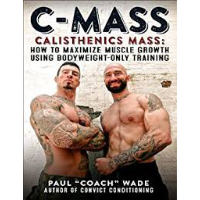 Paul Wade pulls no punches as he shows you what it really takes to build muscle with calisthenics training while exposing the myths and lies that hold you back. Be sure to check out the last chapter on how to optimize your testosterone levels to maximize your muscle building workouts! 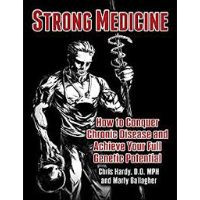 Diet and exercise are some of the most potent forms of medication available and authors Dr. Chris Hardy and Marty Gallagher know this better than anyone. Side effects may include an increase in energy, improved strength, less metabolic stress, and thriving health. 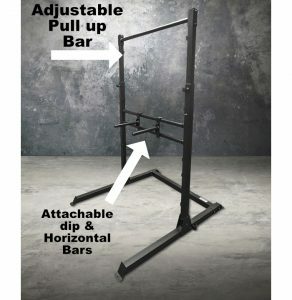 This is the single best calisthenics home gym bar-none. Perform dips, muscle ups, levers, push-ups, rows, leg raises, human flags and more. Its compact design is built to withstand a lifetime of your harshest workouts while offering a wide range of adjustment to suit any physique and fitness level. Onboard storage for accessories prevents clutter and wasted space. Fitness Independence is the foundational philosophy of the Red Delta Project. It allows you to break free of the stressful diet and exercise rat race so you can get in the best shape of your life on your own terms. Unlike popular fitness dogmas, which force you to follow a strict set of rules, Fitness Independence focuses on the natural core principles of health and fitness. Understanding such principles gives you the power to achieve better results and the freedom to eat and train however you wish. It also significantly reduces the amount of stress fitness can have on your mind, body, and lifestyle. 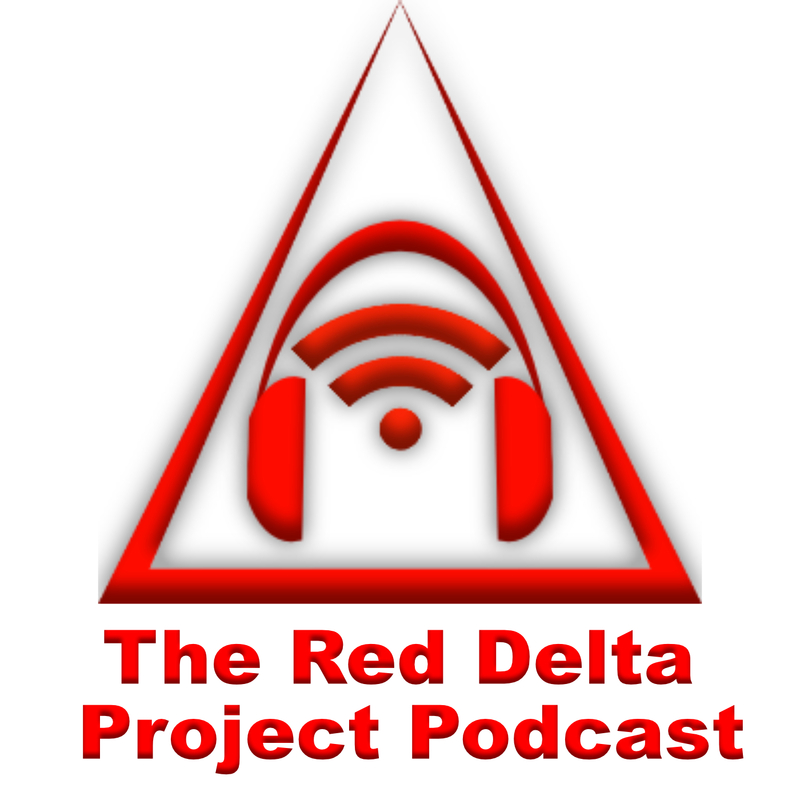 The R.D.P Podcast is where I release my best information about Healthy Eating, calisthenics and Fitness Independence. Each episode is a 15-20 minute coaching session where I dig deep into the heart of topics like food addiction, workout programming, and fitness philosophy. I release a new episode every Monday on Apple Podcasts and Stitcher Radio. There are over 1,000 videos on the R.D.P YouTube channel. Each one is a quick 2-3 minute mini-lesson designed to give you a single takeaway lesson you can immediately use to improve your healthy eating, calisthenics or healthy lifestyle.